ellehermansen: Can't Get it Out of my Head! 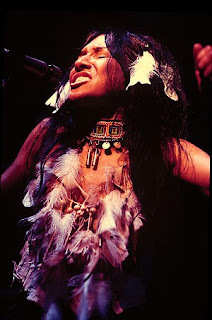 : Buffy Sainte-Marie "Goodnight"
Can't Get it Out of my Head! : Buffy Sainte-Marie "Goodnight"
I've loved this song for years and it has been in my head for a few days now - I love it! 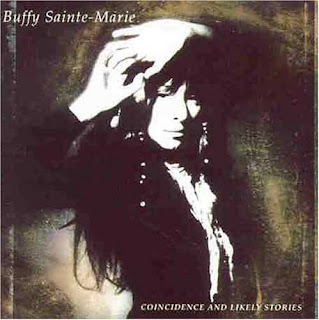 Buffy Sainte-Marie reminds me of a lot of Summer/Autumn nights back at home. This Saskatchewan Canadian-based Native folk singer has been a musical and creative inspiration to me. She teaches me how to relax and be free. You should check out the album "Coincidence and Likely Stories". I first discovered Buffy Sainte-Marie at a secondhand shop and the rest is history (yes, I listen to records as they still give the best sound ever). OH MY GOONESS GRACIOUS! lol! I remember when my grad 8 teacher introduced me to this lady and her special voice back in '98. I was so smitten that 2 years later I tried in vain to dl her on Napster. I eventually did get some of her songs years late. I always thought of her as some rare treasure that no one knew about but me!